BetConstruct is an award-winning developer and provider of online and land-based betting and gaming solutions. BetConstruct’s innovative offerings include an extensive range of products – Sportsbook, Sports Data Solutions, Agent System, Retail Betting Shop Solutions, RNG Casino Suite & Live Dealer Casino. BetConstruct currently powers 200 partners globally, supporting them from 10 global offices. BetConstruct was recognized as the Winner of the Technology Supplier/Provider award at the 2016 IGA adding to the EGR B2B Award for Best Customer Service. We are a leading eGaming company powering some of UK’s largest Bingo & Casino Operators and Affiliates. 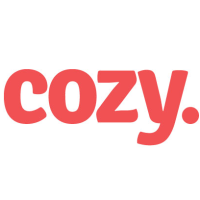 Cozy specialises in fully-managed and bespoke gaming technology and services. Our holistic white label solution enables the launch of a fully branded bingo or casino site in 7 days. With over 100 white-labels in the UK and Nordic markets, we pride ourselves in proprietary agile platform and a suite of 100+ in-house innovative games. Dragonﬁsh is an independent B2B division of 888 providing a unique oﬀering of Total Gaming Services. Capitalising on 888’s experiences as a B2C operator for over a decade, Dragonﬁsh is uniquely positioned to work with partners aiming to monetise their existing database, brand loyalty and media assets or enhance their existing online gaming operations. eMerchantPay is the trusted leader for international online payment processing services. Innovative payment solutions oﬀering authorization and funding in more than 150 currencies give customers multiple ways to pay internationally. Global banking relationships plus in-house risk liability and accountability enable eMerchantPay to offer merchant accounts for numerous gaming industry verticals. GameAccount Network is a leading provider of Internet Gaming Systems for regulated Internet gaming markets, complete with a wide range of proprietary and third party Adobe Flash, HTML5 and native App games. GameAccount technology powers internet gaming for many of Europe’s leading land-based sports, casino & bingo operators. International Game Technology (NYSE: IGT) is a global leader in the design, development and manufacture of gaming machines and systems products, as well as online and mobile gaming solutions for regulated markets. Founded in 2002, Income Access is a leading digital marketing company that specialises in supplying the egaming industry with strategic marketing services complimented with powerful analytical technology that provides business intelligence on the performance of online and oﬄine marketing campaigns. INTRALOT Interactive is the trusted Partner of Organizations that want to offer a Unified Player Interactive Experience to their players. Simply the most robust, efficient and versatile Gaming Platform in the industry, seamlessly combining Mobile and Home Users with Retail, while connecting innovative Gaming Verticals. The award-winning CasinoModule™ provided by Net Entertainment is used by market-leading sport books and gaming sites due to its ability to generate more revenues than any other gaming software. Stunning games, unrivaled management capabilities, extensive language support and scalability are just a few features, which set our solution apart. NetRefer is the most innovative and complete iGaming Affiliate Software platform available. Using the latest technology, the software has more features, functionality and customisation than any other provider. With a dedicated team of technologists and industry experts, NetRefer is your ideal in-house Affiliate Software partner. OpenBet is the leading provider of software for the online gaming and betting industry. As the betting platform of choice for operators and national lotteries, OpenBet powers the largest share of the world’s online bets with global software deployments in multiple, legal gaming jurisdictions worldwide and oﬃces in North America, UK, and Australia. Playtech specialises in developing unified software platforms, targeting existing operators who want to upgrade their system and land-based operators making their online debut. Playtech gaming applications are fully intercompatible and can be incorporated as standalone activities. For over a decade, Scientiﬁc Games has driven innovation with internet-based technology and content for our global lottery and regulated gaming customers. From industry-leading players clubs and loyalty rewards programs, to draw games, instant games, Keno, bingo, poker and casino-style games, our iLottery and iGaming solutions are developed with responsible gaming and regulatory compliance in mind. We’re taking the player experience to exciting new levels with the world-renowned security that has made us a trusted partner worldwide. Pentasia is the global leader in interactive gaming & gambling technology recruitment. Founded in 2001, it now operates in every major egaming territory and possesses an oﬃce network covering Europe, South East Asia and North America. With a worldwide contact list and recruiters experienced in working with clients ranging from blue chips to niche industry suppliers, Pentasia is the number one choice for your recruitment requirements.